Motto: We lead — We educate — We serve. The Technical Services Special Interest Section (TS-SIS) of the American Association of Law Libraries (AALL) serves the interests of our members engaged in acquisitions, cataloging & classification, collection & preservation of information, serials control, and management, including management of digital resources. We provide members with opportunities for continuing education, research, networking, leadership, and advocacy to promote our vital role in the exchange and accessibility of information. The Section forges partnerships with non-law librarians in order to develop and monitor national and international initiatives and standards. 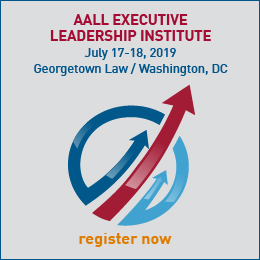 TS-SIS upholds the vision and strategic directions of AALL. 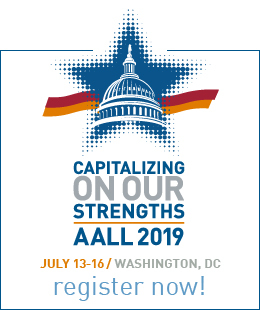 Implement improvements to the program and workshop development process through AALL’s Continuing Professional Education Committee and AALL’s Annual Meeting Program Committee. Specific action 5.8: Broaden our perspective and diversify our skills so that we may effectively manage digital library collections, institutional repositories, and digital preservation. Adopted July 22, 2012 at the TS-SIS Business Meeting, Boston, Massachusetts.